This Week In Energy: To Ban Or Not To Ban? One of the most frustrating bits of legislation affecting the oil industry looks to be slowly eroding, if not completely. 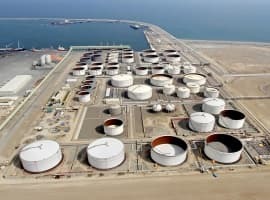 The ban on U.S. oil exports goes back to 1975, when President Gerald Ford signed the ban into law, saying it was time to “put (the U.S.) solidly on the road to energy independence.” This was also in response to the 1973 Arab oil embargo, and seemed wise at the time, protecting the gas-guzzling U.S. from energetic repercussions to any shift in international allegiances. Since then, the landscape has dramatically shifted. In the first half of 2014, the U.S. began producing more oil than Saudi Arabia, with many predicting this would lead to a lifting of the ban, given the obvious economic benefits of oil exports. 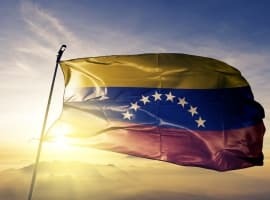 After all, countries like Venezuela and Saudi Arabia have largely based their economies on them. But high-ups in the Obama cabinet have flip-flopped on the issue. In December 2013, Energy Secretary Ernest Moniz said the government might have to consider lifting the ban. But this year, he first said that oil companies had not made a convincing argument as to why the ban should be lifted before then stating the matter was still being evaluated. No wonder confusion reigns! Certain exceptions do allow for a few exports (a little more than 100,000 bbl/d to Canada, for example) but the Wall Street Journal has made a convincing argument as to why American oil remaining on American soil is causing problems. “Surging domestic production has led to a mismatch between the oil produced in U.S. fields and the types needed by U.S. refiners. 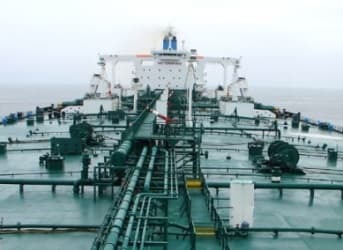 The booming new U.S. fields often produce lighter crude that doesn't match the heavier, lower-quality crude from abroad that U.S. refiners typically handle,” it writes. This means that exports would allow producers of high-quality crude to have access to an expanded market, also helping to assuage environmentalist concerns of increased production. Other cracks are appearing in the oil ban edifice. In July, the Department of Commerce allowed Enterprise Product Partners and Pioneer Natural Resources to ship ultra-light oil to the likes of South Korea to the possible tune of 1.2 million bbl/d. As it stands, U.S. exports have risen from around 75,000 a day to near 400,000 since May alone. However, this was soon followed by an announcement from the DOC that this was an exception and not a prelude to lifting the ban. Motivated by this apparent change of opinion but frustrated at its slow progress through the molasses of American policy-making, some companies are simply ignoring the government and taking matters into their own hands. Bloomberg BusinessWeek reports that BHP Billiton will begin selling oil from Texas to international buyers, without seeking prior approval to do so. The deal involves the sale of around 650,000 barrels of ultralight sweet oil to as yet undisclosed buyers but it could have far larger repercussions. The DOC’s ruling in July opened the door to such moves in an industry not shy about tacking very close to the wind on asking for government permission before making a deal. Bloomberg expects BHP Billiton to get away with the move for a few days while the dust of the mid-term elections settles in Washington. When the government does take note, its actions will be telling. Will the Democrats look to make a stand after their shellacking or will the momentum of a hydrocarbon-friendly Republican Congress see BHP Billiton exonerated? This reaction will likely determine whether the edifice of the U.S. oil ban will be blown down like a house of cards or if it will stand against the wind a while yet. OilPrice has been guiding its readers through the larger issues governing the oil markets, including the consequences to the fall in oil prices, attempts to shore up this drop for U.S. customers, and the subtle internal gains that are helping the country become energy independent. 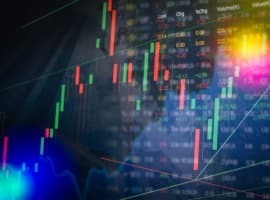 This content is backed up in-depth in our Premium newsletter, which guides investors through the backdoors and small print of political and business dealmaking, and predicts the market repercussions. Do not miss this weekly intelligence report and sign up for Premium here. Quick Note: This week’s Premium looks in detail at the next big trend in offshore drilling, the advances being made and the companies at the forefront of these developments. Dan Dicker looks at potential winners and losers in the US shale boom and Martin Tillier advises energy investors not to get too excited by the republican victory. Read this letter and receive the next 4 weeks research completely free – click here to receive the reports.